Thanks to everyone that attended and made this a memorable reunion. Get your reservations made and your bags packed because we are going to have some fun in the heart of America; Kansas City, Missouri! We believe that everyone will have a great time and will take home lots of memories. What a better place to enjoy famous Kansas City Barbecue, the Missouri River, and numerous museums located throughout the city and surrounding area. Kansas City was founded in 1838 and was called the “Town of Kansas.” It was incorporated on February 22, 1853. The Kansas City area is known for the starting point for the westward expansion with three trails; the Santa Fe, California and the famous Oregon Trail. Kansas City is also known for its musical styles of Jazz and Blues as well as famous Kansas City style barbecue. Forbes Magazine in 2012 named Kansas City as one of America’s best downtown’s for its rich culture in arts, upscale shopping, numerous fountains and restaurants featuring many cuisines. 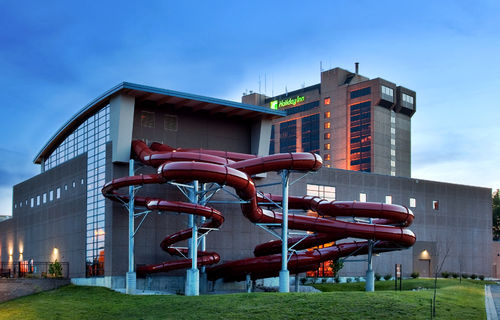 Our reunion will be held at the Holiday Inn Kansas City Coco Key Water Resort. 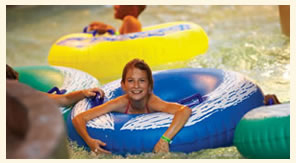 Coco Key is a large family orientated indoor/outdoor water park. So plan to bring your kids and grand kids! There’s so much to see and do in Kansas City. The three of us, along with help from some of our local cousins, are planning a wiz-bang reunion. We have a bus tour planned to the home of Frank and Jesse James and other haunts of the James Gang..
Take a moment to find other Poindexters in your local phone book or in your area at whitepages.com and invite them to the reunion. Give them this web site address so they can get additional information. We hope to see you next June so we can make your reunion an enjoyable one!